Sometimes when I sit down to write a blog I don’t even know where to start. Do I start by telling you about everything we have done? Or about my thoughts on the amazing people we have met? 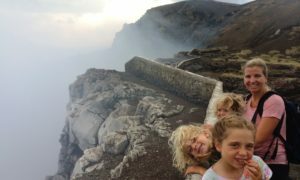 Or about how amazing (and challenging) traveling with kids can be? Can I ever express properly the hustle and bustle of the chicken buses or the challenges of the community we are in? So today I will just share some random moments from the last week. 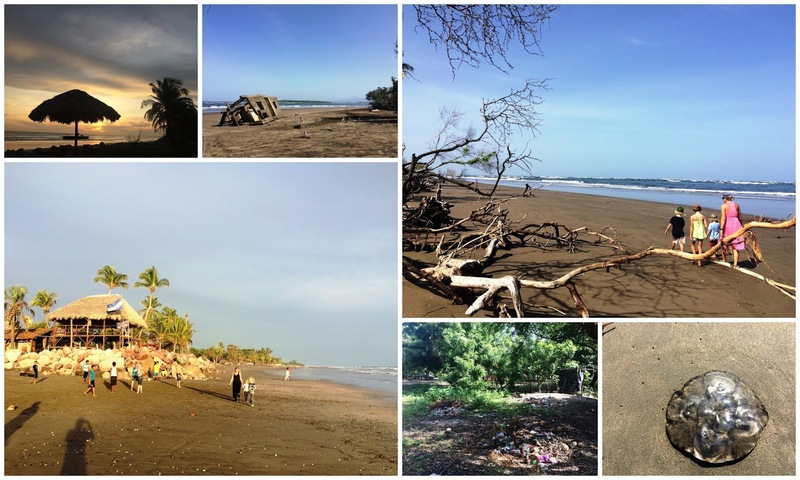 If you are planning a trip to Nicaragua, be sure to check out this post on Nicaragua Itineraries. 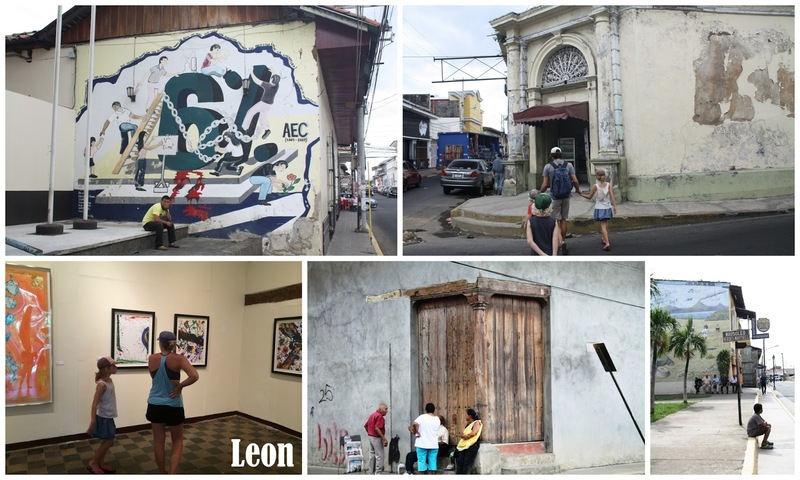 In Matagalpa we were at the chaotic bus station trying to figure out which bus to take to our next destination, Leon, when a man approached us. He had seen the Canadian flags on our backpacks and told us all about how he had lived in Canada for years and his daughter was born there, but he had to leave after 9/11. He wanted to chat all about Canada and helped us figure out the buses for the day and negotiated with the microbus driver to take us for only 3 fares and no cost for our luggage (unheard of on a microbus). He told us all about how he wants his daughter to return to Canada when she is older since she is a citizen. Such a nice encounter. From there we squeezed into our 3 seats on the bus and we were off to the sweltering heat of Leon. 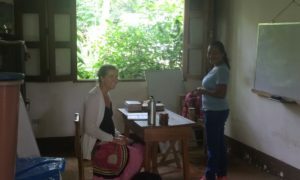 Read about our time in Matagalpa and the Highlands here. 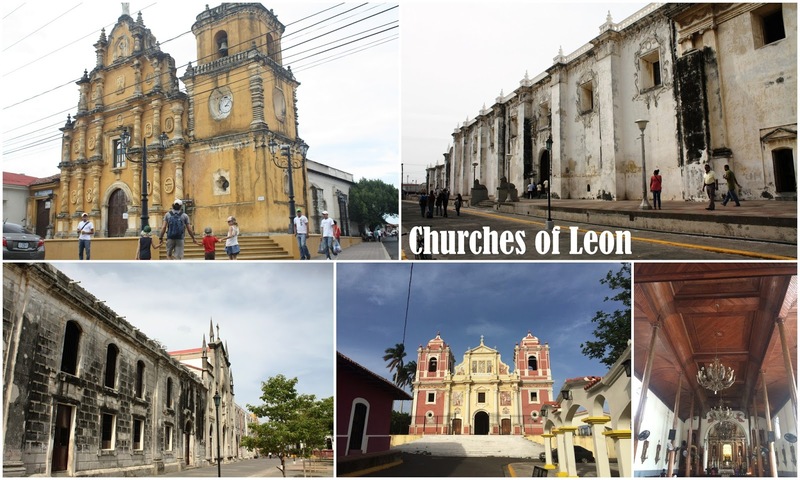 In Leon, we wandered the lovely crumbling colonial streets and peeked into the many beautiful churches. 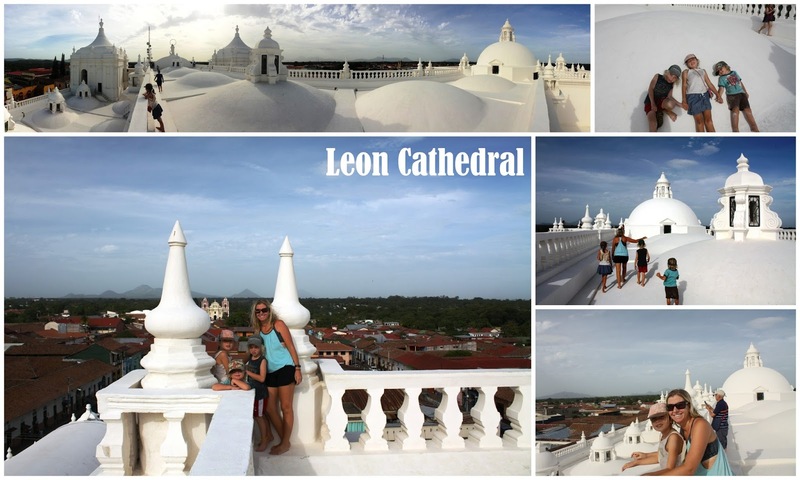 We climbed to the top of the cathedral and even managed to walk through a pro government political demonstration. We found the most amazing French bakery and indulged in pain au chocolates and baguettes. 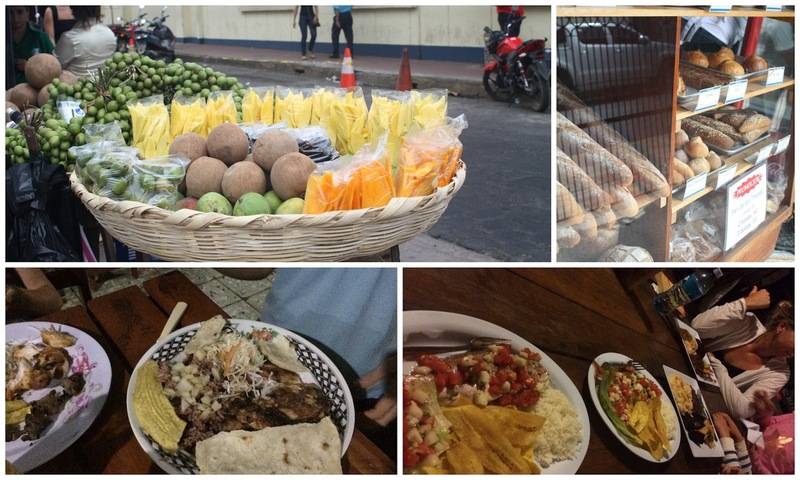 We all appreciated my foresight at booking a hostel with a pool and we ate lots of Nica food at a great asado place. While waiting for a chicken bus to leave for Jiquilillo on the Pacific coast, we attracted tons of attention from the women that sell food on the buses. Once in a while Gavin and Miles get comments made about their hair and occasionally people will walk by and touch and pull it. But on this bus, they were smothered and touched constantly. They are so patient and don’t seem to really mind; it reminded me of the attention they attracted in Asia. The chicken buses are so interesting to travel on; so chaotically efficient and a hive of activity. Bags of rice, bikes, boxes of Coke…anything gets hoisted up onto the roof of these colourful buses as the driver, attendant and “roof guy” communicate through whistles and yelling. The sellers that board the bus constantly sell everything from fruit to chicken to baked goods to medicine to hair products to drinks in plastic bags. Music often blasts through the open windows, the horn honks incessantly and all parts of life are lived on these buses. 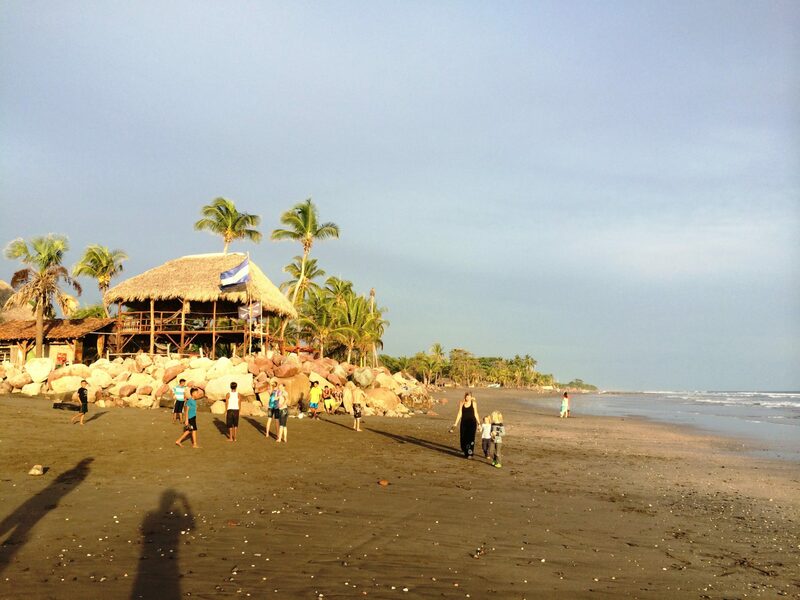 In Jiquilillo we stayed at Rancho Esperanza, more of a social enterprise than a typical hostel. 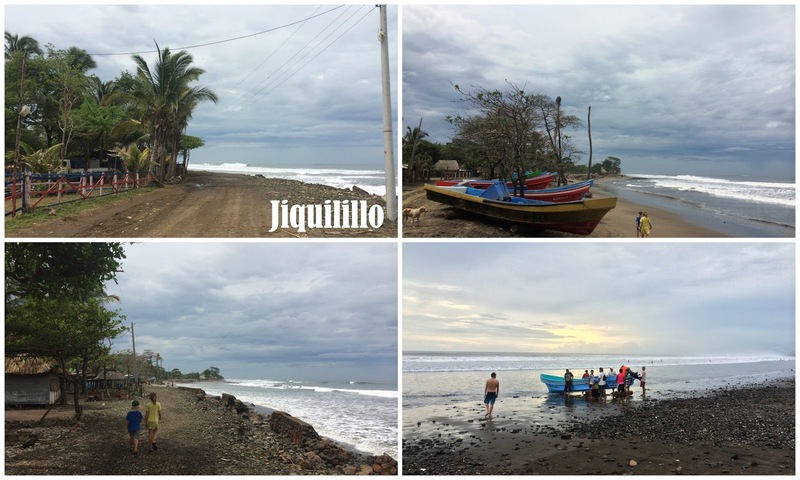 Jiquilillo is very rural and there are no services here. 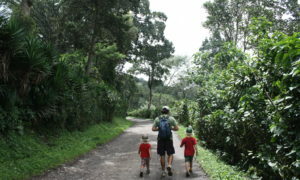 The hostel supports the community in many ways including an afternoon Kids Club for local kids where the volunteers run sports, crafts and various activities. Our kids were really happy to participate in these organized activities. It was awesome to see the kids interacting with the Nica kids. During a soccer game, Gavin explained a whole strategy to his teammate in English and the boy nodded vigorously and responded “Si, si, Bueno.” Kids totally transcend languages and cultures much easier than adults do. We loved watching the fisherman take their boats out in the evenings. 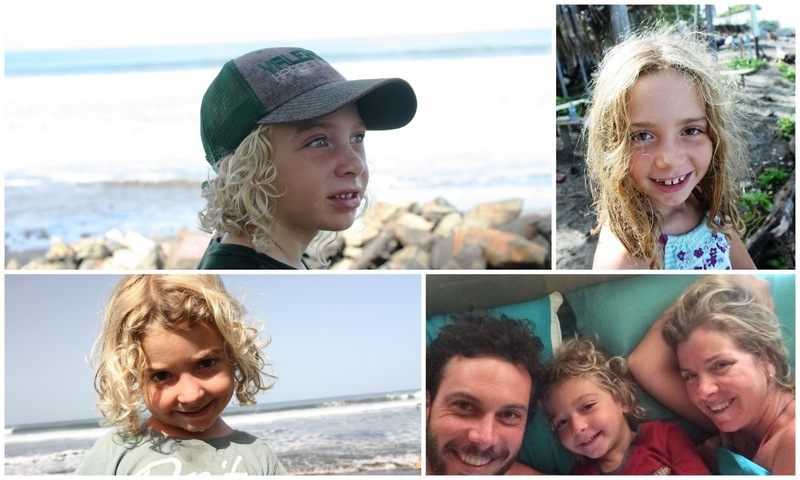 They would use two logs to roll them down the beach, gather their nets, attach an outboard and with precise timing move through the breaking surf into the open ocean. We talked a lot about the challenges of the community, notably the lack of any garbage facility. This results in trash lying all around and the burning of all garbage, including plastics. 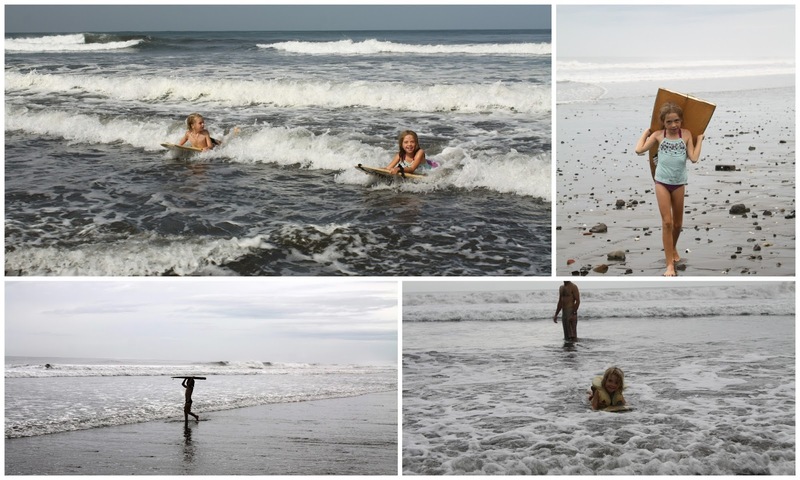 The kids battled the large surf waves and enjoyed boogie boarding and playing in the waves. Paul tried his hand at surfing and managed to get up right away. We spent lots of time lounging in the hammocks and enjoying the hostel’s huge library. Paul got stung by a scorpion, but luckily scorpions in this area are not that serious. We have since been very thorough about shaking out our clothes. As always we met so many wonderful travelers and we loved sharing stories. The kids provided entertainment at the family style meals and it is really interesting to hear them explain and talk about our trip. Our last few days are slipping away and we have lots of mixed feelings about returning home and closing the door on this amazing trip. But we will save that for a whole other blog! 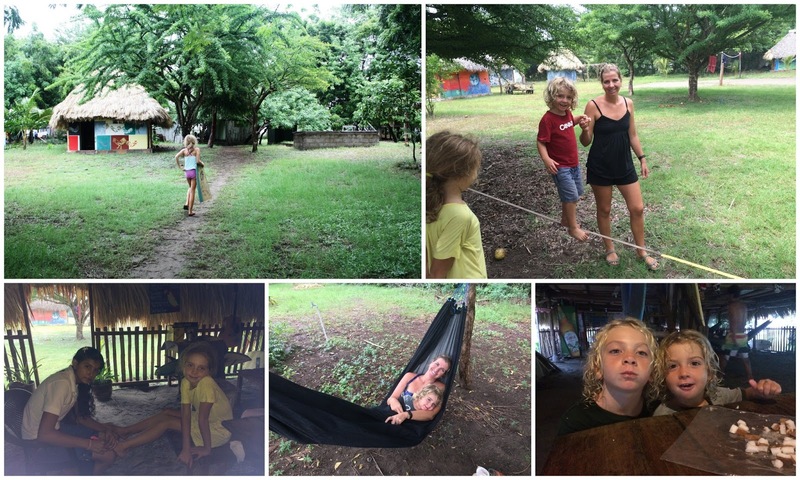 Lazybones Hostel, Leon $40/family room – pool! Cute 2 level room, basic. 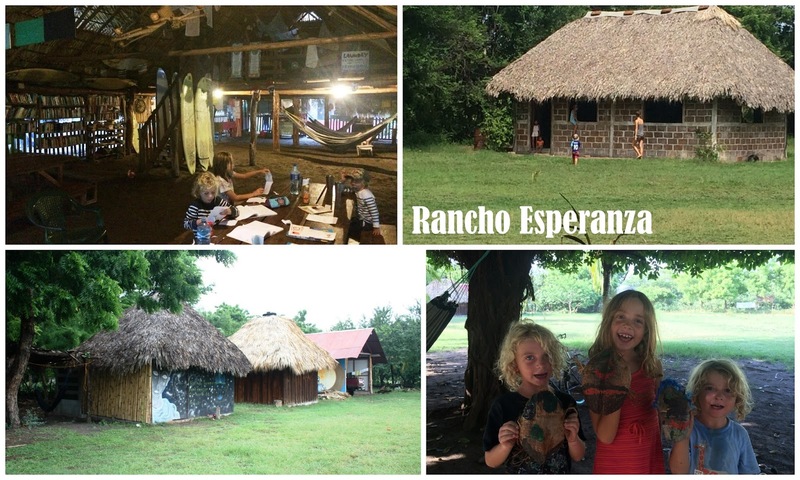 Rancho Esperanza, Jiquilillo $45/bunks and double cabin with bathroom. Rustic, but nice. 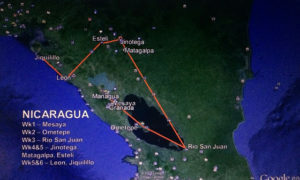 Don Carmelo Hotel, Managua $58/triple incl breakfast. We stayed here our last night and it was a nice enough room. The best part was the free transportation to/from the bus station and airport, meaning we didn’t have to deal with the sketchy taxis. Definitely recommend for a budget place in Managua (only stayed 1 night before our early flight out). 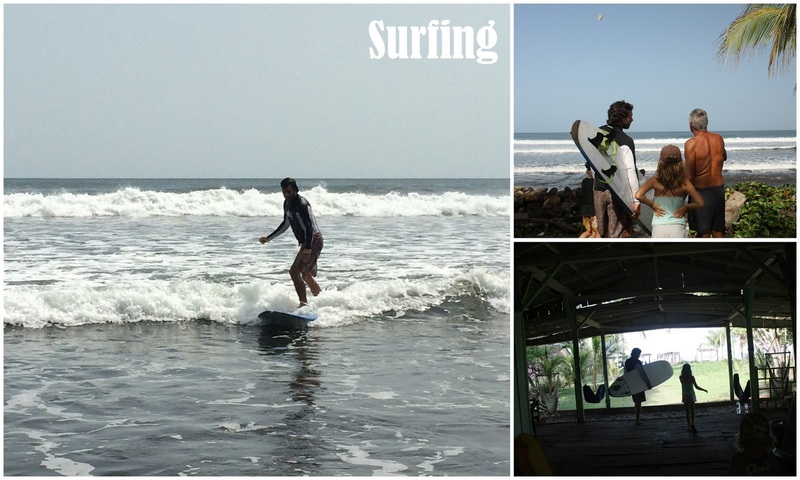 Jiquilillo – rented surf board, used boogie boards. Took bus into Padre Ramos and walked back along the beach at low tide. Kids participated in the afternoon children’s club with the local kids.